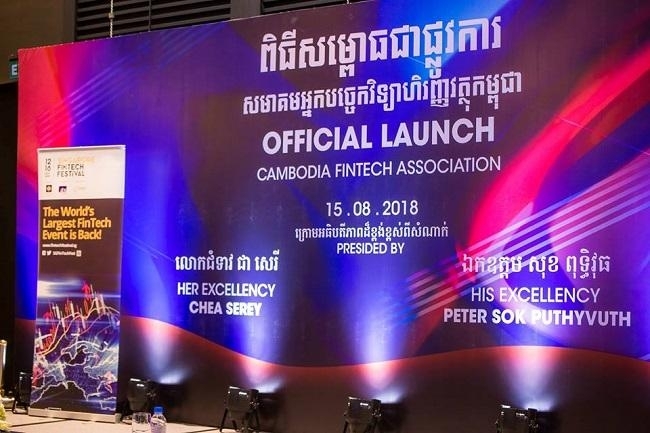 The Cambodia Fintech Association (CFA) was officially launched last week with the mission of positioning Cambodia as the leading country for fintech innovation and investment in the Indochina region. The launch event was attended by Her Excellency Chea Serey, Assistant Governor and Director General, National Bank of Cambodia and His Excellency Peter Sok Puthyvuth, among others. Speaking at the event, Serey said that fintech development has been gaining momentum in Cambodia and driving financial inclusion. “We want people in remote areas to have convenient, affordable, fair and safe access to financial services,” she said. According to the CFA’s official Facebook page, the CFA has signed memorandums of understanding (MOUs) with the Fintech Associations of Thailand (TFTA), Taiwan (TFTA) and Singapore (SFA). The Phnom Penh Post reported that the CFA, located in the capital Daun Pehn district, counts a number of digital payment companies, banks, and financial operators among its members. CFA vice-president Eddie Lee said the country is making progress in the fintech space, noting that the central bank has explored blockchain application in tracking interbank transactions.